Protein is a source of dietary energy and an essential nutrient for healthy immune function and maintaining strong muscles. Dairy products, such as milk, cheese and yogurt, are sources of protein and other essential nutrients, but you might not like them or you might be unable to eat them because of lactose intolerance. Non-dairy alternatives can provide the protein and other nutrients you need on a dairy-free diet. 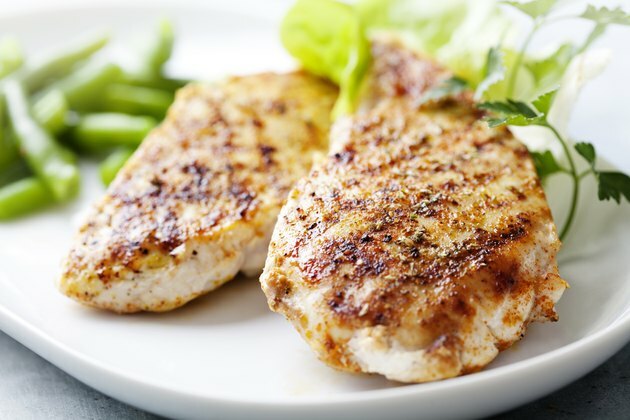 A 3-ounce portion of skinless stewed or roasted chicken or turkey breast contains about 27 grams of protein and is low fat. 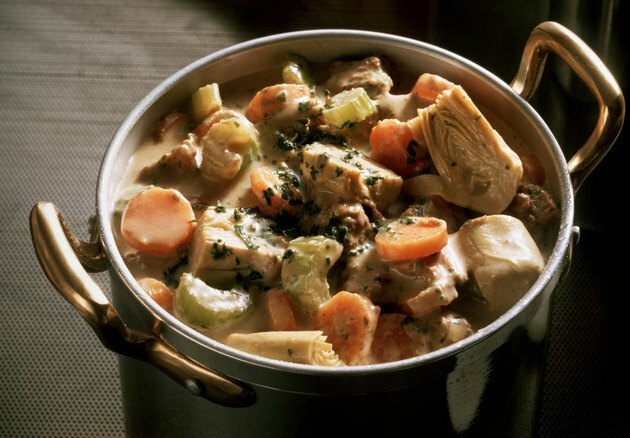 Remove the skin before cooking your chicken or turkey to reduce its saturated fat and cholesterol content. Saturated fat and cholesterol from food raise levels of cholesterol in your blood and may increase your risk for heart disease. Chicken breast with balsamic roasted vegetables and white turkey chili are two ideas for high-protein, dairy-free meals. A 3-ounce serving of canned tuna has 17 grams of protein, and a 3-ounce serving of trout has 20 grams of protein. 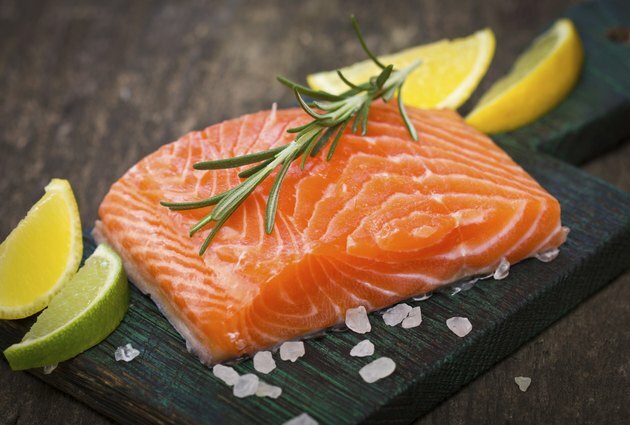 Fish are carbohydrate-free and sources of heart-healthy omega-3 fatty acids. Fatty fish, such as salmon, sardines and mackerel, provide vitamin D, which is a nutrient that could be lacking in your diet if you do not drink vitamin D-fortified milk. Canned fish with bones, such as salmon, mackerel and anchovies, are sources of calcium, which is another nutrient in dairy products. A 3-ounce portion of broiled beef top sirloin steak has 26 grams of protein, and a 3-ounce portion of pork tenderloin has 24 grams. These choices also provide iron and niacin, or vitamin B-3. 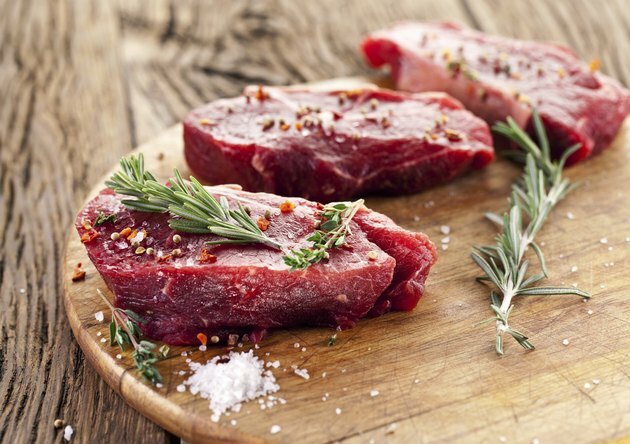 Choose lean cuts of meat, such as tenderloin, and trim away visible fat before cooking to limit your intake of saturated fat. Limit consumption of processed meat, such as salami, bacon and sausage, because high consumption can increase your risk for cardiovascular disease. A quarter-cup of roasted mature soy beans, or soy nuts, has 9 grams of protein, and a quarter-cup of edamame, or green soybeans, has 8 grams of protein. 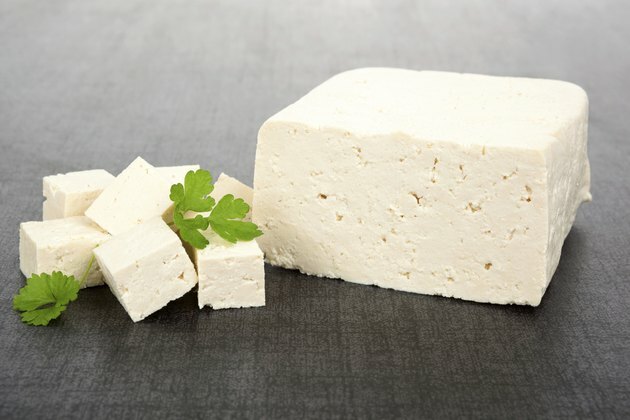 The University of Michigan lists tofu, tempeh and soy milk and yogurt as sources of protein. Many soy products also provide calcium. Black, pinto, garbanzo, navy and other beans, lentils and split peas are sources of protein and dietary fiber, which can lower your cholesterol levels. Nuts and peanuts supply protein, heart-healthy unsaturated fats and fiber.